On the first day of my Parisian journey, Kalie and I walked around my neighborhood to get acquainted with my new surroundings. 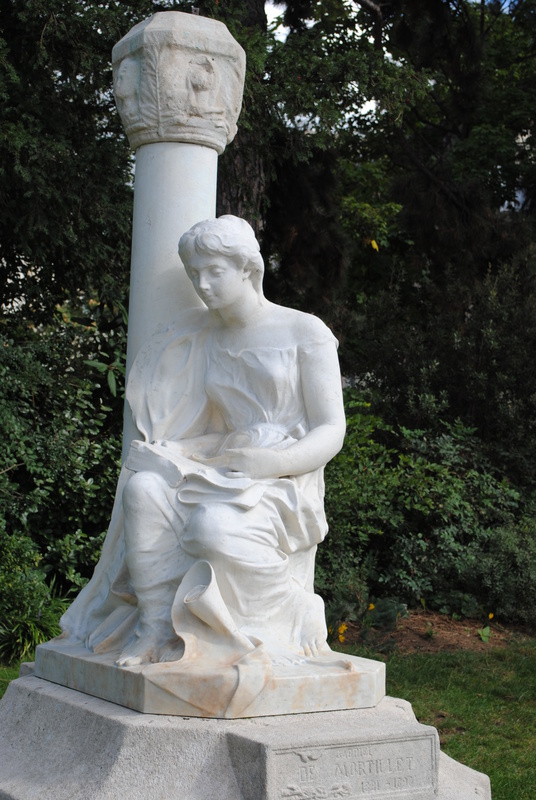 We found a nice little park around the corner with old statues and a beautiful garden and decided to have our lunch there. Since then, whenever I have some time between classes and the weather is nice, I visit this park and read Victor Hugo’s Les Miserables. 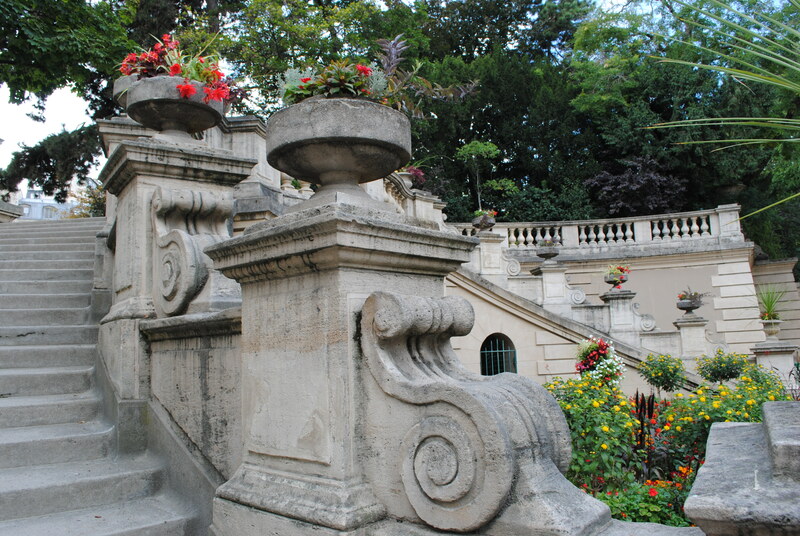 What a surprise to discover that on the other side of the hill, this nice little park happens to be des origines de Paris! From 120 B.C. to 400 A.D., the Romans occupied Gaul (modern day France). They constructed temples, thermal baths, theaters, aqueducts, arcs of triumph and arenas. 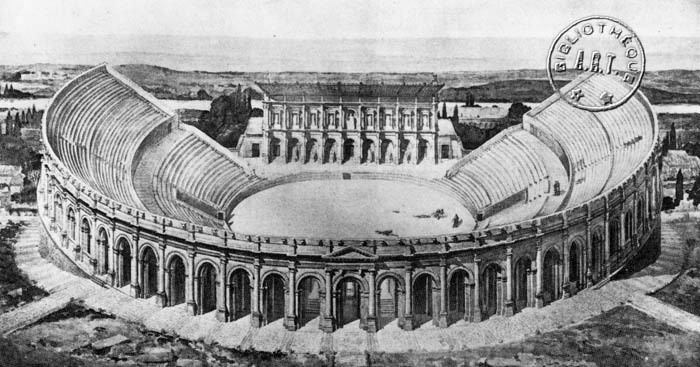 One of the main arenas that was constructed in Lutèce (modern day Paris) in the 1st century, was the Arènes de Lutèce, an amphitheater which could once seat 15,000 people and was used for gladiatorial combats. The amphitheater was surrounded by a wall and had a stage for theatrical productions and combat (or both if the occasion presented itself!!). There were 5 cubbyholes beneath the arena which held the animals and opened directly into the arena. 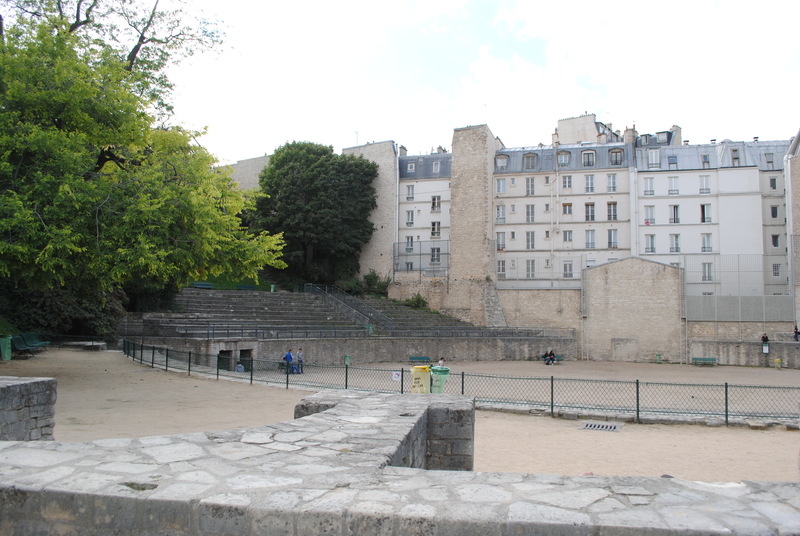 Unfortunately, during the barbarian invasions of 200 A.D., most of this arena was carted off and used to reinforce the Ile de Cite. 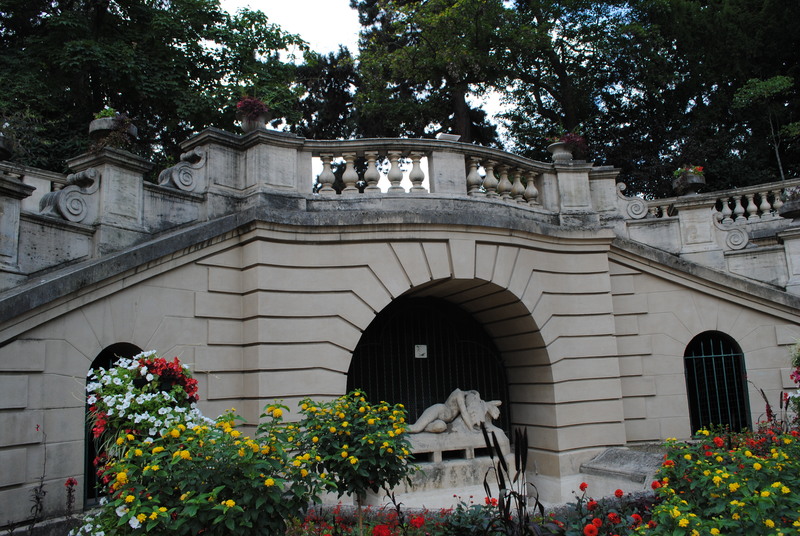 However, in 1860, the Société des Amis des Arènes, a group of intellectuals led by Victor Hugo, decided to preserve this archaeological treasure by restoring it and making it a public square. Fast forward 2,000 years! During my husband’s visit this past week, I wanted to show him the historical sites of Paris that I have been learning about in my Civilization Courses. I looked on the map to see where this famous Arena was located and realized that, Voila, it is practically in my backyard; the little park that Victor Hugo helped preserve has provided this student a part of Parisian history to enjoy reading his novel of Parisian history!